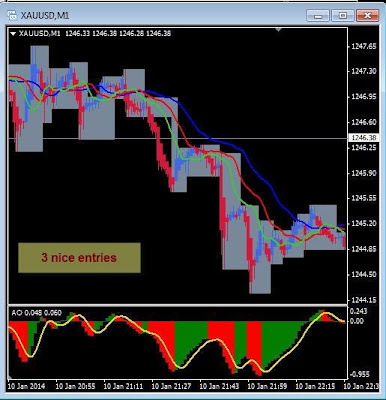 On a Friday which was NFP day there were some good scalp trades available and I have attached two charts on which the entries are pretty straight forward. I use the alligator and re enter at the fractals as the move progresses, a simple and conservative and also profitable setup. 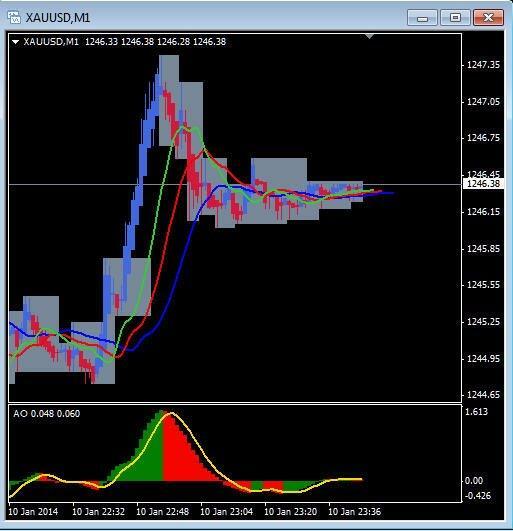 Gold got a little shot in the arm from the NFP today and, as you can see, price is well above the Ichimoku Cloud on the 240 minute chart below. 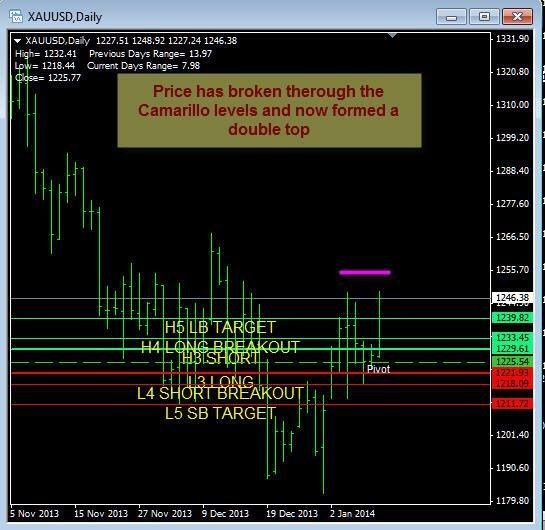 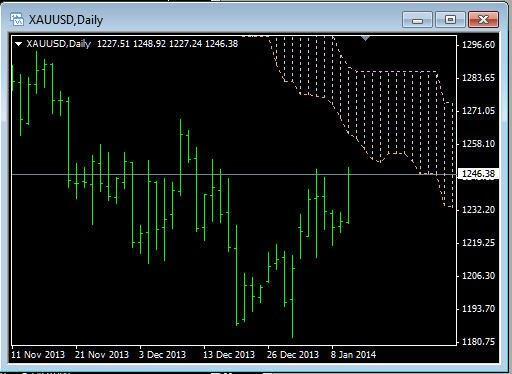 This next chart has the Camarilla indicator and price is well above the last target and now has formed a double top. 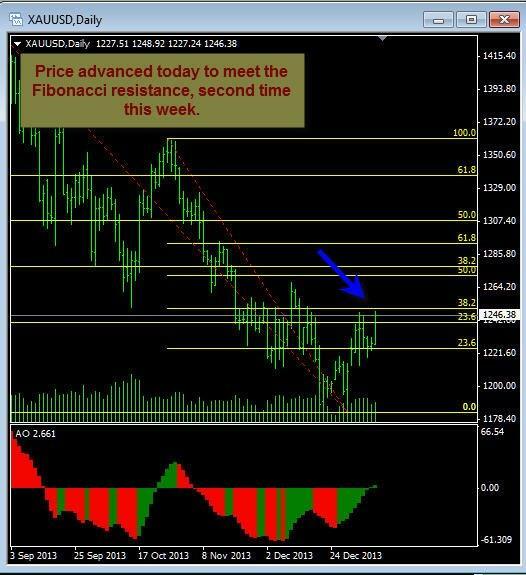 This could be interesting as the markets open next week, will price move ahead or back away from the resistance. Here we have the Daily Chart and, as you can see, Price is below the Ichimoku Cloud which, at this time, appears to provide significant resistance to an upward move. 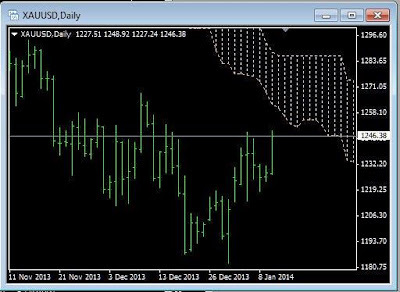 So far as we look at these charts in today's post, there is not going to be an easy upward move for a while. 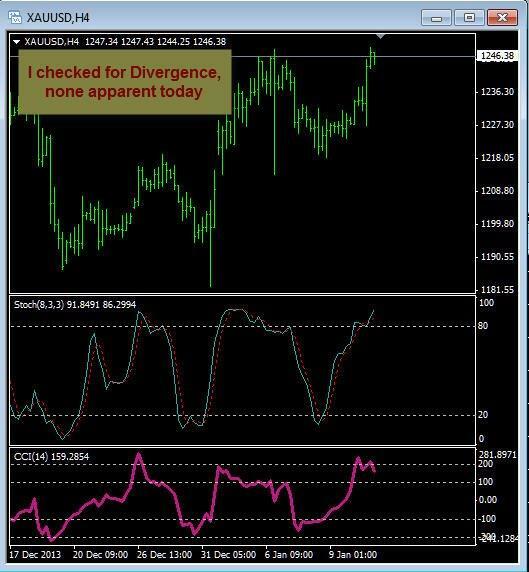 This last chart, I keep only for the purpose of detecting divergences, to see if there is possibility showing of a change in trend. 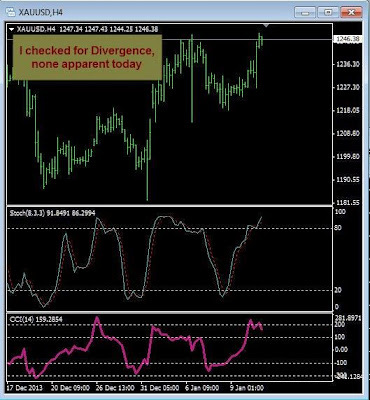 Today, on this 4 hour chart there appears to be no indication of divergence.